Life doesn’t get better than this! 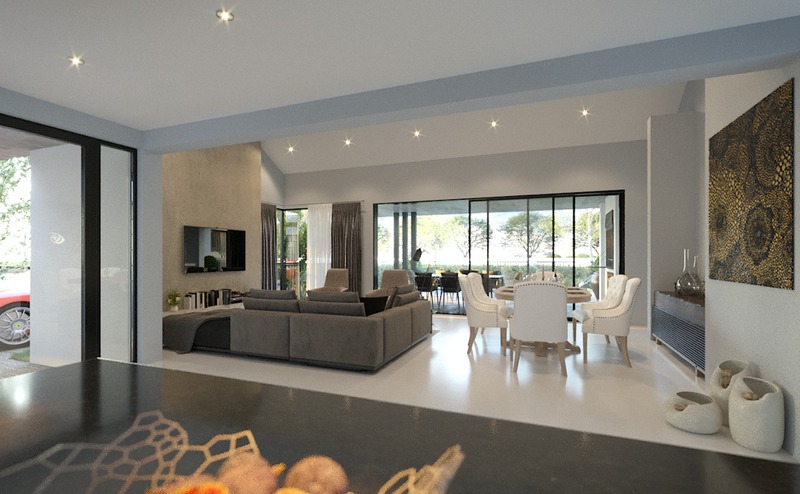 (Vat & Transfer fees included) This beautiful designed single storey home offers seamless flow and space with a 30º sheet roof and 2 garages with storage alcove. 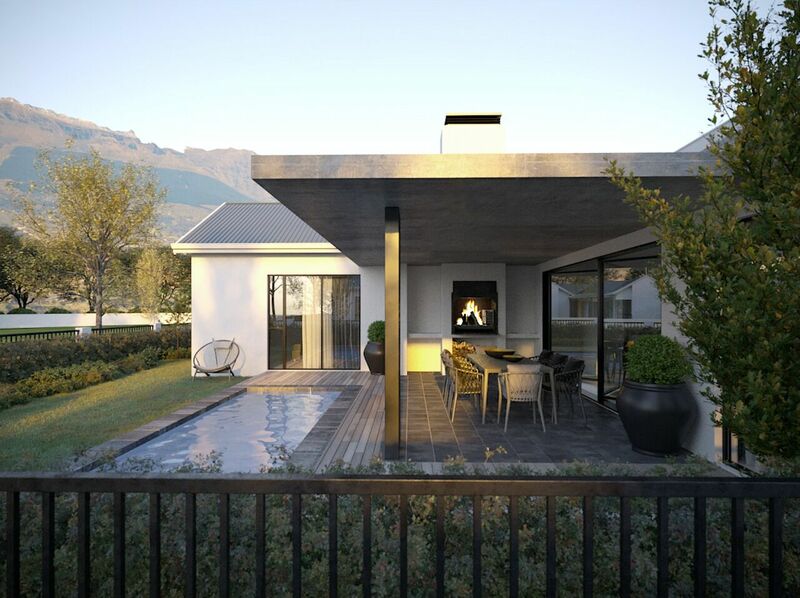 An exquisite entertainment living area with open trusses and stack away doors leading onto an undercover braai area with an enclosed pool, which overlooks a fynbos reserve with fantastic views of the Simonsberg, Paarl Rock and Drakenstein mountains. There is an open plan modern kitchen with a separate scullery/laundry. Four bedrooms, four bathrooms and a playroom/study, provide gracious living and is certain to please the whole family. 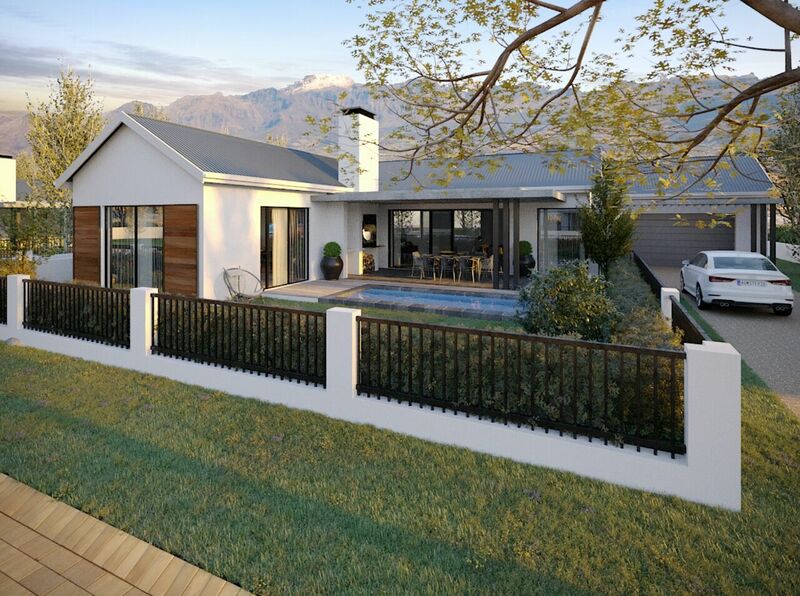 Positioned in an access controlled quite cul-de-sac in one of the most sought after streets of Val de Vie. Conveniently situated with quick access to the Pearl Valley clubhouse, and easy access to the Yard, Ruebens restaurant and the Berg River gate. Voted the best multi-generational Resort in the World in 2018 at The Globals Ceremony in London, and rated as the Top Residential Estate in South Africa for 2015, 2016 and 2017 by New World Wealth, Val de Vie Estate offers world-class security, a luxury lifestyle and amenities including three restaurants, multiple gyms, tennis courts, indoor and outdoor swimming pools (including an Olympic sized pool), award-winning winery and coffee roastery, as well as International Polo facilities and equestrian centres.